Order your Filofax Pocket Week On Two Pages 2019 today from FahrneysPens.com. Fine Pens, Refills & Luxurious Gifts – great prices & fast shipping. Monday - Sunday. 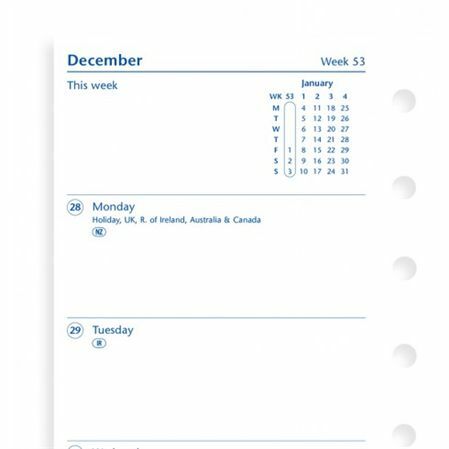 This calendar insert allows you to view an entire week in an open book format. Monday through Wednesday are shown on the left hand page. Thursday through Sunday are on the right.